I’m always on the hunt for the next best minimalist running shoe that feels closest to being barefoot. That is, a shoe that is thin enough to provide the sensory funds to help me easily execute and maintain a proper forefoot strike while running. Sadly, many athletic footwear brands do not offer a pleasing assortment of barefoot-like shoes! This is a major disappointment because aside from going completely barefoot, barefoot-inspired running shoes are really at the forefront for developing sustainable foot strength. So, what are the best minimalist shoe brands out there so far? To improve running form as well as foot strength and function, one of the most effective strategies in giving yourself a mechanical makeover and promoting sustained foot strength is by running barefoot. But, if you hate the thought of running barefoot, the best alternative are thin sole running shoes that closely matches the barefoot experience. Vibram Five Fingers – There’s no better way to improve foot strength than with a shoe that looks like the human foot! Because the shoe literally compliments your foot’s anatomy, the Vibram FiveFingers provides the structural resources your foot needs to build up more strength and vitality. The individual toe sockets are also a major structural asset of the shoe because it promotes more optimal toe splay, giving you more leverage for better balance control. Better toe splay also serves as the first line in helping to prevent and reverse bunion enlargement. Vibram also makes an incredibly thin, flexible outsole that gives you a more tighter supply of sensory feedback, helping to bring together all the right mechanical modifications needed to lighten your landing load during running. Vivobarefoot (Terra Plana) – Vivobarefoot’s running shoes feel and fit just like the Vibram FiveFingers, minus the individual toe sockets. They are known for having a wide toe-box and a stylish design in that they not only look great for running, but for causal wear also. 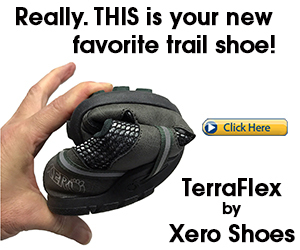 Xero Shoes – When it’s summer time, you don’t want your feet cookin’ in shoes. 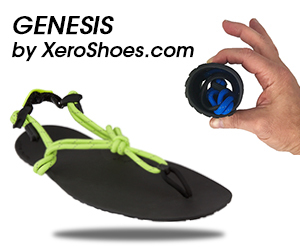 This is why I love Xero Shoes because they are minimalist running sandals that allow great sensory play for the feet. 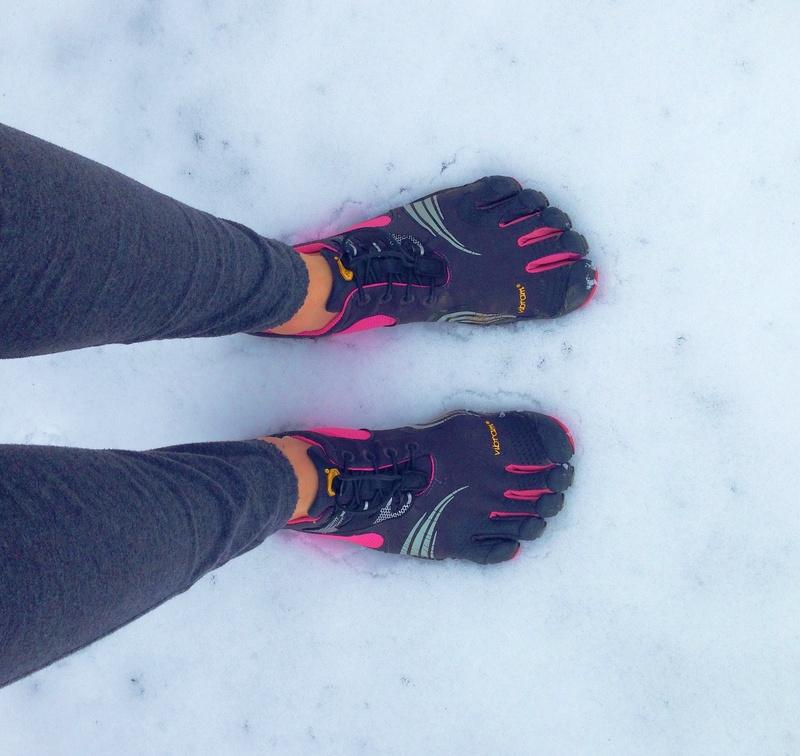 Skora – Want a more warmer barefoot running shoe for the winter? Skora makes most of their shoes with the upper made of goat leather, which is very thermal for the feet. Skora’s are always wide, having a D-width toe box. 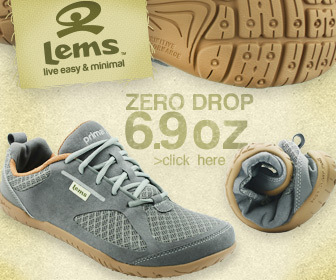 Most of their shoes are aslo made with a thicker outsole that is incredibly, so they would be great for endurance runs. Merrell – Merrell only makes one decent barefoot running shoe and that is the Vapor Glove, which is a good start to joining the minimalist bandwangon. The Vapor glove is a mix between the feel of the Vibram FiveFingers with the wideness of Vivobarefoot. Tesla – If you are on a budget like many of us, you’ll appreciate the Tesla trail running shoe as it is literally a carbon-copy of the Merrell Vapor Glove 2, except the Tesla is more affordable. The Tesla has strikingly similar structural properties as the Merrell Vapor Glove, however the Tesla is more insulated, making it ideal for fall and winter weather conditions. Invo-8 – Inov-8 makes flat, sleek minimalist shoes with a little more padding than the Vivobarefoot. Their shoes are especially great for cross-training, such as box jumps, and are really good for obstacle course races. Asics – Asics is slowly making its way onto the minimalist running scene. Although much of their running shoes are tailored towards heel strike runners, they now offer more barefoot-inspired natural-feeling running shoes, such as the Piranha and GEL-Fortius TR, both shoes are invaluable engines designed to help reignite foot strength and function and provides a better opportunity to build good forefoot running mechanics, far better than traditional running shoes. Mizuno – Mizuno is incredibly well-known for designing heel striker running shoes, but soon after Born to Run, Mizuno designed a few minimalistic running shoes, the Wave Universe and the Wave EVO Letivas to help meet the comforting and mechanical needs of forefoot runners. Both shoes have significantly less cushioning, a lower profile and impressive flexibility and durability, helping you better evaluate your forefoot running mechanical efforts. Nike – Sadly, Nike only produced one barefoot-inspired running shoe, and its NOT the Nike Free! It happens to be the Free 1.0 Cross Bionic, which will help you produce good mechanical behaviors associated with the sensory factors illuminated by the paper-thin, flexible and light outsole. If you are looking for the perfect barefoot shoe for forefoot running, check out my barefoot shoe reviews, to help you choose the best shoe. I also have a YouTube channel where I give a more in-depth, full-range analysis of barefoot-inspired running shoes I feel are most suitable for forefoot running. I run a lot of intervals on a treadmill which I have set to 1 degree incline. I’m wondering about whether an incline is advisable. Also, my gym where the treadmill is won’t allow barefoot running so I wear minimalist shoes such as the Asics Piranha, New Balance MRC5000 or a similar racing flat. I get lots of leg muscle soreness but I think I’m adapting. BTW, I’m 72 years old and have been running for 58 years. Thanks for your great videos and website. Just found this blog good stuff iv been using vibramw ane vivios for 7 years now all the time not just for running. Thanks for your tips and list of minimal footware. Im always on the hunt for the perfect shoes. I run several times a week on a treadmill and recently invested in a foot pod which shoes I’m a 100 percent heel strike runner. Is there a pair of shoes you’d recommend to help me correct this? Thanks for a really useful website. Stephen – Run barefoot. If that’s not allowed, wear socks. 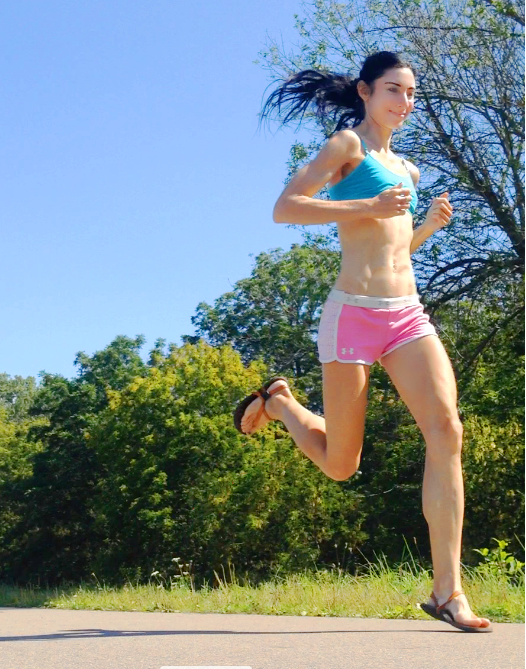 Your body will naturally adapt to running and striking in a non-painful way.